Important Ways to Keep An Oven Clean! Oven cleaning is possibly the worst kitchen cleanup job of all, yet an important one that should not be ignored. Letting kitchen appliances become coated with food and cooking oil is dangerous and can affect appliance performance. Many oven repair services in College Station Texas report that a major contributor to appliance damage is keeping the unit clean. To avoid problems and even accidents, here are some tips to easily keep a stove’s interior as clean as possible. How Do Dirty Ovens Happen? Basically, all that gunk and junk stuck all over the inside of any typical oven is nothing more than baked on food and grease that has been allowed to sit there and dry until it becomes difficult to remove. If the appliance not cleaned before the next use, it just succeeds in getting even more attached to the oven surfaces. Layer upon layer of grime continues to build, making removal more difficult with each usage. Oven cleaning is not an easy or pleasant kitchen task, which is why most people end up putting it off as long as possible. because when that cleaning time does arrive, it will take some real effort. Some models have self-cleaning modes that are somewhat helpful, although it still needs some scrubbing to get completely clean. Step 1 – Start by boiling a big pot of water and putting it in the oven for about 20 minutes with the door closed to contain the steam. This helps soften any grease and built-up residue. Then take a scouring pad, regular dish detergent, and lots of hot water to remove as much residue as possible. Completely wipe the interior of the oven and proceed to the next step. Step 2 – Using cold water, baking soda, and steel wool, gently scrub the areas that did not yet come clean. and do not scratch the protective interior finish. Wipe the oven again and go to the next step. Step 3 – For areas that will not clean, a commercial oven cleaner may be necessary. These chemicals are toxic and must be used according to directions, following all safety recommendations. Wipe the interior again and reapply the cleaner if necessary until the oven is clean. Some College Station oven repair services can be hired to do a thorough, professional cleaning. This could provide a great starting point for developing new appliance maintenance habits. Covered Containers – Always cook in a covered container with either an actual lid or foil wrap. Even covered cooking food adds to the mess, as rising steam transfers residue onto interior surfaces. Drip Pans – Use a drip pan on the bottom of the oven and/or a cookie sheet underneath casseroles or containers to handle any skills. Use tightly wrapped foil to make pan cleanup easier as well. Don’t cover the bottom of the oven with foil as it could ignite drippings if it contacted with the heating element. Ongoing Cleaning – Clean spills as they happen to prevent bigger messes. When done regularly, it should take little more than a wipe down and save hours of scrubbing later. Though it may seem like just one more chore on that never-ending list of tasks to be done every day, time spent with regularly keeping an oven clean will provides the most benefit. Of course, it will also help prevent an oven fire and urgent calls to find oven repair service in College Station Texas! Want To Find Great Oven Repair in College Station TX? Aggieland Appliance Repair – Call 979-220-4297 For The Best Oven Repair Work! 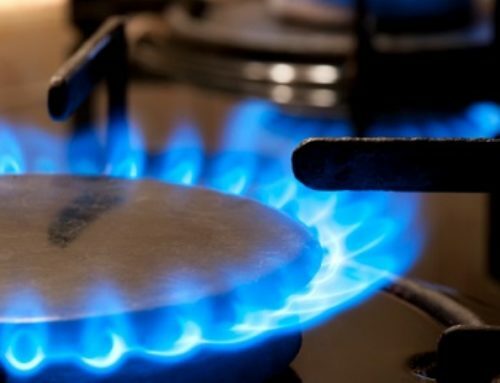 Best Ways to Troubleshoot Gas Range Oven Problems!